Getty Images are particularly nasty with their image copyright as they use a customised version of PicScout to search sites. This ignores robots.txt protocols. If they find an image, they have a whole legal department that will send a threatening letter saying pay an extortionate amount or get taken to court. Apparently most small businesses caught by this pay up – even if they aren’t guilty of misuse as they don’t know enough to fight it. How do I know: as I spent a morning about a year ago, looking up what to do when I got a “Letter” from Getty saying I’d used two images illegally. I hadn’t – and I knew I hadn’t ever used the images they had said I’d used. It turns out I had – as far as Getty was concerned. I had tweeted two articles, and these articles contained the images I was accused of misusing. I’d included those tweets in a twitter stream on my web-site. So what Getty had done was find a link to a tweet that linked to an article, that held a Getty Image, on my web-site. As far as they were concerned, the image was on my web-site. It means that if you use Twylah, or Paper.li or similar to track tweets, and organise them – and then link to this on your web-site, you may get caught by the Getty scouts. If you don’t know enough, then you will need to pay up (or negotiate and pay up). In my case, I proved the origin of the images and said “Please take me to court – and I’ll call Twitter to prevent linking to web articles, and the Economist to prevent people linking to them….”. They emailed back “We’ll let this one pass as a goodwill gesture” or words to that effect. Rather than fund Getty, I purchase pictures from shutterstock, fotalia or take & use my own. (I love the privy photo. It’s really interesting. I knew Getty were aggressive when it comes to pursuing copyright infringement but didn’t realise it was that bad. An interesting point about Getty possibly deciding that in 6 months time something may no longer be in the public interest or newsworthy. I always tell people that if they want to use a photo they’ve seen on a blog, website, Flickr etc to contact the “owner” of the site/photo and request permission even if it has an appropriate Creative Commons licence. If they say “No”, that’s fine – you don’t use it. If they say something along the lines of “Yes it’s mine – feel free to use it” keep the correspondence in case they have acquired it from someone who has acquired it from the likes of Getty and who doesn’t understand copyright. If they say “There’s no copyright – I found it on the web” then run a mile! In view of the comments above you may wish to take a screen shot of my permission to reuse the image in case of any future legal action! Getty must also be delighted by the number of postings in cyberspace stating that they’ve allowed all their images to be free of copyright. Indeed, Charles. “Laughing all the way to the bank” as the saying goes. Having been perused by Getty I could easily get very grumpy about them and will never use their service if at all possible. My recent history with Getty began when I commissioned a designer to create a company logo and paid for his invoice for the work which included payment for use of an image. Fast-forward 15 years and a threatening letter arrived from Getty. Of course they say they have no record of my designer ever having paid a fee and my designer is long gone. 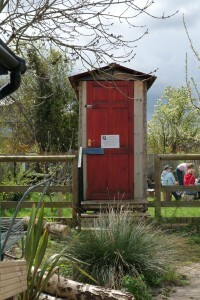 My real reason for posting is to comment regarding the privy pic. 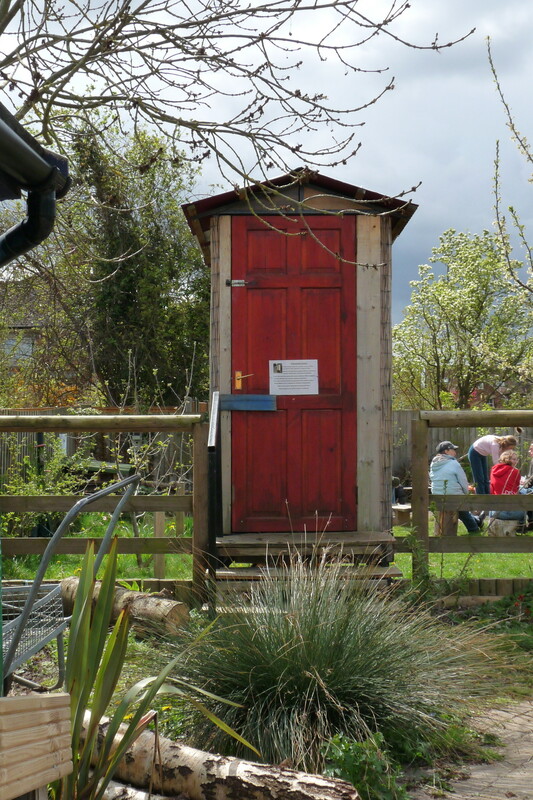 You really made me laugh this afternoon when you said “It is a decommissioned composting toilet at Barracks Lane Community Garden, Oxford. Please feel free to use as you wish.” Did you mean to write it that way or is it just me ? Thanks for your comment. My question to them would be why did it take 15 years to track down the image? Is there a statute of limitations in this area [paging Charles Oppenheim]. Concerning the image of the privy, you can take my comment any way you wish but if if you want to use the “work” I request that you freely share any adaptations – but not with me! I think the decision point is – do you spend time and money arguing, replying and going legal, or do you negotiate a price and write a cheque to make the problem go away. It would have cost me more in time, attention and money to argue with them. I think it’s part of their game plan to price the penalty fee at a similar level to paying for an initial legal response. It’s certainly an odd way to run a busniness, but it would appear that penalty fee collection is a lucrative business for Getty.